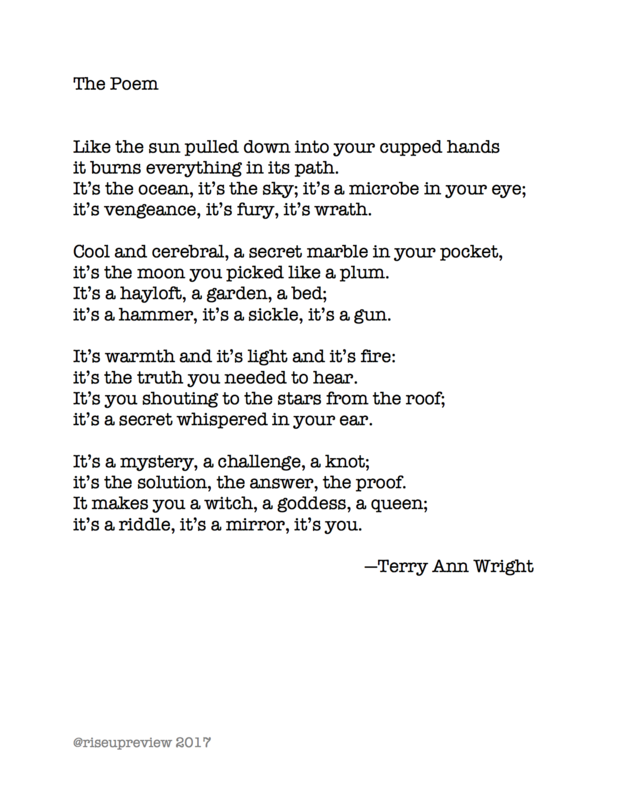 Terry Ann Wright’s chapbook Nature Studies was published by Sadie Girl Press in 2015; the title poem was nominated for a Pushcart Prize, her third nomination. Her poetry has appeared most recently in Chiron Review, Angel City Review, and Spectrum, and the anthologies Gutters & Alleyways: Perspectives on Poverty and Struggle; The Language I Was Broken In; and Like a Girl: Perspectives on Feminine Identity. She is a teacher and an itinerant editor for local presses.